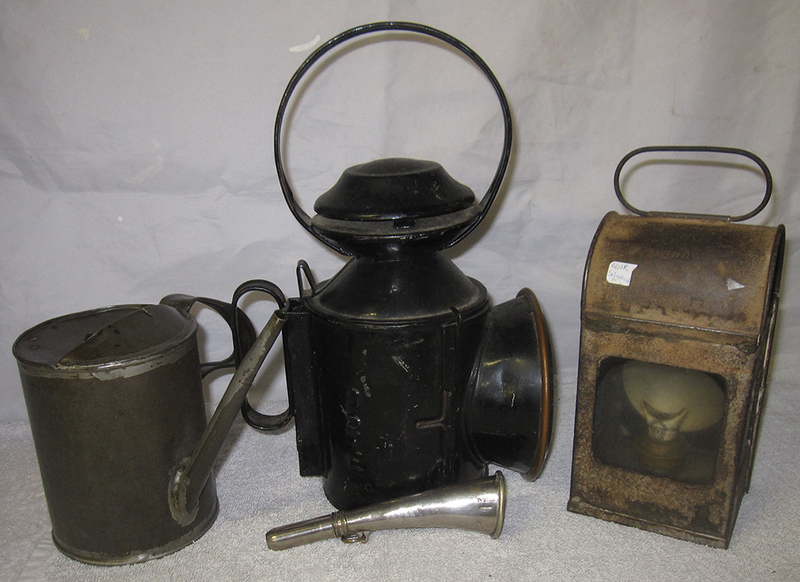 A Lot Containing A BR(E) Hand Lamp Stamped Ely Complete With Both Red And Blue Glasses. NER Gangers Warning Horn. Unmarked Oil Pourer. GWR Swindon Gauge Glass Lamp. 4 Items.